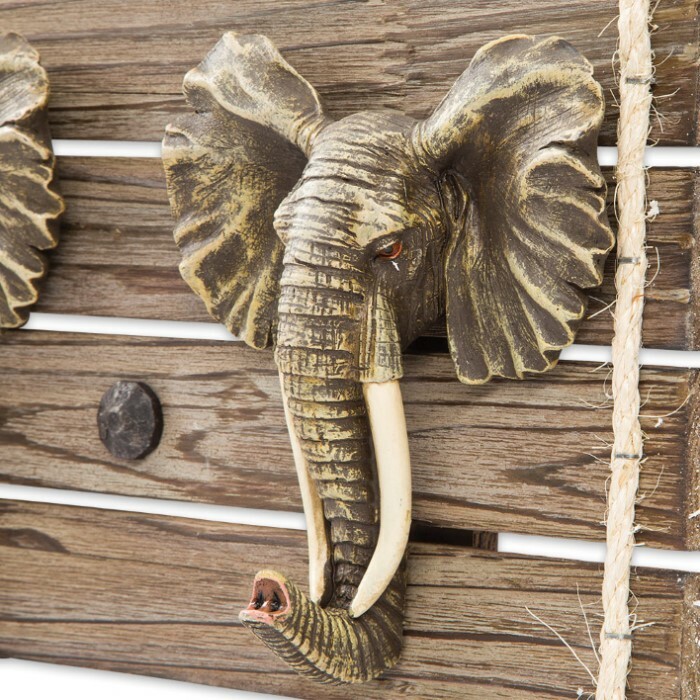 African Elephants Hook Organizer - 3 Hooks | BUDK.com - Knives & Swords At The Lowest Prices! Don't let a bland, unsightly coat rack scar your otherwise-impeccably decorated home! Stow your jackets, hats, bags, keys and more on the vibrant, eye-catching African Elephants Hook Organizer, instead! 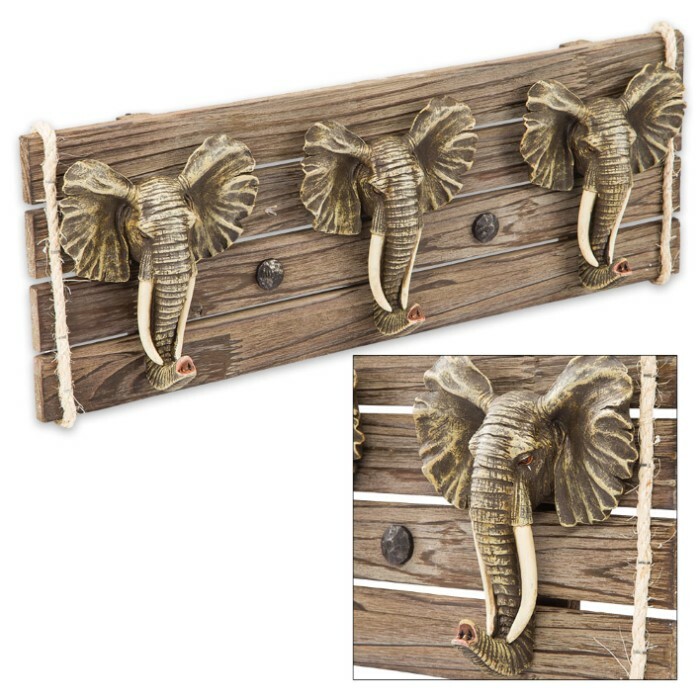 This wall-mounted organizer ditches boring, nondescript hooks in favor of a fun, decidedly more adventurous equivalent - lithely curved elephant trunks! 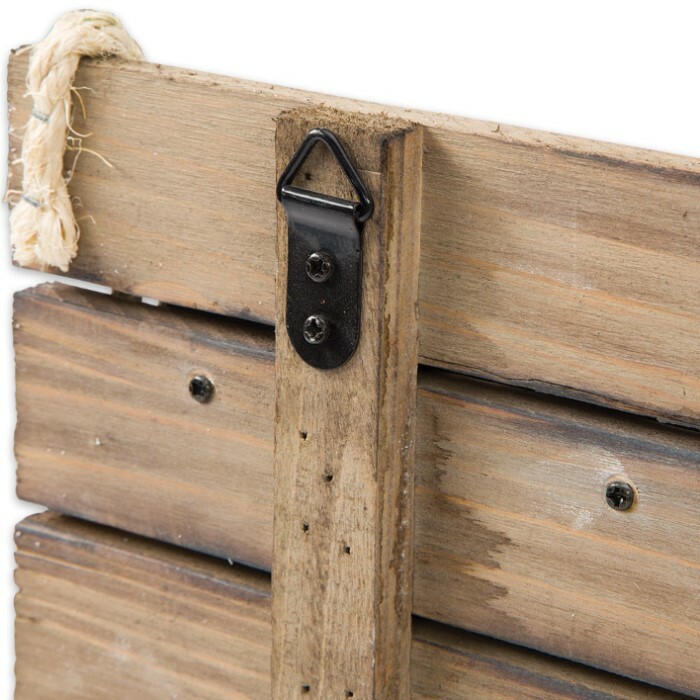 The beautifully detailed, undeniably unique "hooks" are anchored to a rustic faux wood backboard, which includes easy-to-use metal wall-mounting hardware. As practical as it is beautiful, this flawlessly cast polyresin organizer is sturdy enough to bear the weight of even the heaviest backpacks, winter coats and more!